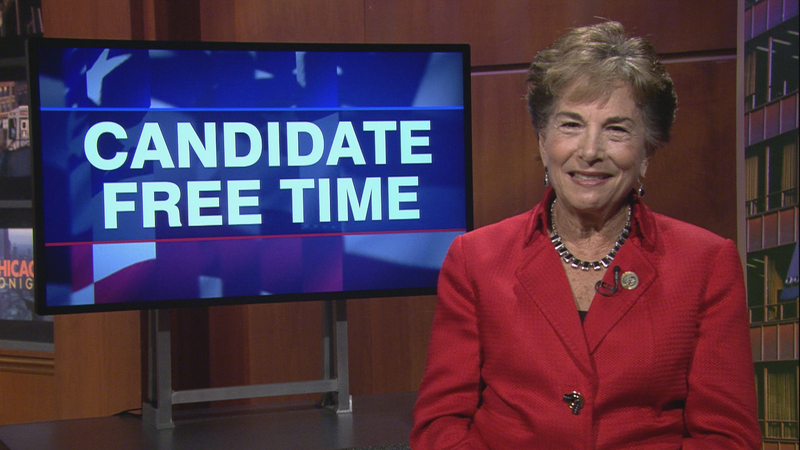 Video: Jan Schakowsky tells voters about her platform. Learn more about Candidate Free Time. Family: Jan lives in Evanston, Illinois, with her husband Robert Creamer. She has three wonderful children, Ian, Mary and step-daughter Lauren, and six extraordinary grandchildren – Izzy, Eve, Lucy, William, Aidan and Alice. JOBS AND INCOME: We need to create good jobs and raise wages by investing in priorities like education and infrastructure and by supporting unions. Union members enjoy higher wages and 9 in 10 receive paid sick days, vacations and access to retirement plans. Higher wages – along with expanding Social Security – are essential to improving retirement security. This is especially true for women, who are more likely to work in low-wage jobs, work part-time, and take time out of the workforce altogether for caregiving responsibilities. As part of my effort to see wages rise in my community, I have been involved in ensuring that municipalities raise their minimum wages based on the Cook County ordinance. CAREGIVING: Another specific priority of mine is supporting measures to help families meet those caregiving needs. In our area, many parents spend more on child care than they do on food, transportation and rent – quality infant care can cost more than $10,000 a year. At the same time, many families are also providing care for older adults – either taking time out of the workforce or struggling to afford adult day care or home health care worker services. I have been working on the issue of improving the quality of care for older adults, including in nursing homes, since I began my career. IMMIGRATION: Finally, the Trump Administration’s cruel immigration policies are creating fear, dislocation and economic problems in our community. In the ninth district we have a long record of welcoming immigrants and refugees from all corners of the world, and they have contributed to our diversity, cultural richness, and economic well-being. Many, many of my constituents have contacted me to express their dismay about policies that separate mothers from their babies, that impose a discriminatory Muslim ban, and that seek to isolate immigrants through deportations and the repeal of DACA. I am working hard to reverse those policies and enact comprehensive immigration reform that includes a pathway to citizenship. The driving passion that led me to public service is to make sure that every person in our nation has access to affordable, comprehensive and high-quality health care. The Affordable Care Act has brought us closer to that goal – eliminating bans on coverage for people with pre-existing conditions, prohibiting higher premium charges to women, expanding access to guaranteed coverage and premium assistance, and improving Medicaid and Medicare. Instead of barebones policies, the ACA’s essential health benefits include cost-free preventive care (including contraceptives), maternity care, prescription drugs and mental health services. I am committed to blocking efforts to repeal those protections. But, as a long-time Medicare for All supporter, I know that we have much more to do. I have introduced legislation to lower prescription drug prices and insurance premiums, and I am the lead cosponsor of the EACH Woman Act to ensure that every woman – no matter where she lives, how much she earns, or what type of insurance she has – has abortion coverage. Access to the full range of reproductive health services and ensuring that Roe v Wade is protected not just in statute but in practice remains a top priority, especially given assaults by the Republican Congress on Planned Parenthood and a woman’s right to make her own health care decisions. Hi. I’m Jan Schakowsky and I’m asking for your vote to send me back to Congress. Now more than ever, we need people in Washington who will stand up against the meanness and corruption we see every day from the White House, and the Republican-dominated Congress. This is a dangerous moment in US history. So much is at stake in this election – affordable health care – living-wage jobs – well-funded public schools – a clean and healthy environment – protecting Planned Parenthood. All of these are under fierce attack every day by a crude and corrupt President who is just the opposite of a role model for our children. I am proud to represent one of the most diverse districts in the country. We are a community that respects people of all races, religions and ethnicities. I myself am the daughter of immigrants who came to Chicago as children with their parents, Jews fleeing violence and discrimination in Russia. My grandfather was a peddler, selling vegetables from his horse drawn wagon. All four of his children went to college – and his granddaughter is a member of the US House of Representatives. . Mine is the typical, not exceptional American story, but now immigrants are being harassed, detained and deported every day by Donald Trump and ICE. As much as Trump may want to redefine our country, we ARE a country of immigrants, and that’s what makes America great. We live in the richest country in the world at the richest moment in history. Problem is, that wealth is mostly in the hands of the richest people and biggest corporations. There is enough wealth to enact Medicare for All and rebuild a robust middle class. This is the most important election our lifetime. If you want to restore decency and democracy in our country, you must vote on November 6. Elections really matter.